Whoa! Valentine’s Day is fast approaching. All you girls out there! Are you still yet to decide the gift that will make your HIM grin from ear to ear? If yes, don’t worry! 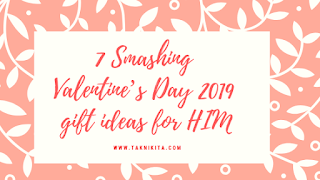 I will share some of the gifts you can choose for HIM. Well, if he is a geek, then you can gift HIM one of the best science fiction books of 2019 that will inspire him to the max. Ah! Is he a bibliophile? If yes, you can choose one of the best romance poetry books of 2019 or best romance novels of 2019 that will thrill him to bits.